In high school fashion, the Tartans football team took the field on Friday night in front of a rowdy crowd, unified in the theme of “whiting out” at Gesling Stadium. The Tartans took on the Catholic University Cardinals. Senior running back Jared Delello set the tone early with a 42-yard run, allowing for his one-yard touchdown on a draw up the middle two plays later. That gave the Tartans an early 7–0 lead. Delello led the rushing game, putting up 74 yards on 12 rushes for two touchdowns. After a Cardinals field goal, the Tartans managed to score another quick touchdown on their next possession. Junior quarterback Rob Kalkstein launched a 65-yard pass to sophomore wide out Timothy Swanson for a touchdown. The pass by Kalkstein was his third touchdown pass for 50 or more yards in consecutive games. Kalkstein found the end zone again, connecting with the team’s leading receiver, junior Tim Kikta, for a 28-yard touchdown completion, the third straight game the two connected for a touchdown pass. The score then sat at 21–10. The Tartan offense was potent, racking up 453 yards of total offense to best the Cardinals’ 396 yards. Carnegie Mellon head coach Richard Lackner got clever with the play strategies at the end of the second quarter, calling for a double pass. Kalkstein hit junior wide receiver Colin Lang for the fake screen, as Lang then hit senior running back Jake Nardone for the 43-yard completion. The fancy play set up Kalkstein’s third touchdown, as he connected with senior running back Patrick Blanks on the crossing route to bring the score to 28–10. Delello scored his second touchdown in the second half, and the Cardinals converted on a late touchdown to bring the game to its final score, 35–17. Despite the high scoring potency of the Tartan offense, ball security was an issue. 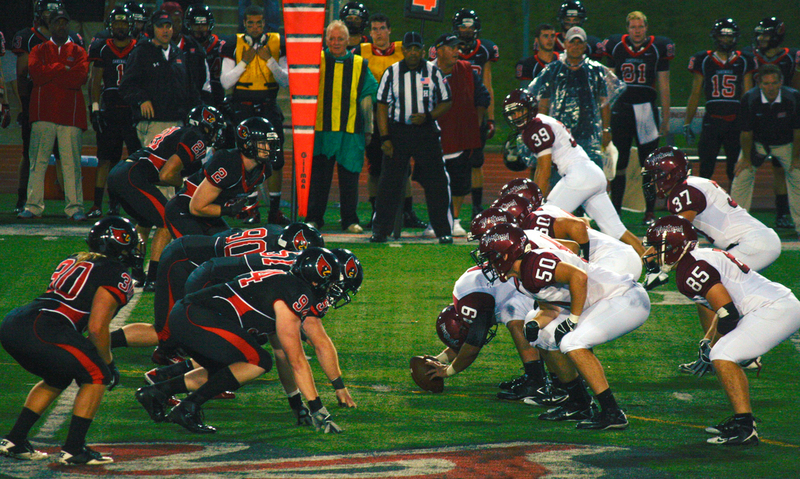 The Tartans fumbled the ball three times, turning it over twice. However, the Tartans executed their game plan effectively and were able to find the end zone many times to put the game out of reach early.